What are the things you need to know about planning for end of life care discussions? Older adults confirm that they want to remain in their homes as long as possible. Few understand the financial planning involved or take the necessary steps to make remaining in the home possible. The attitude that someone else will take over caregiving responsibilities at the end of life still exists. The United States is a youth-focused society. Planning for retirement and declining health remains an unpleasant and avoided subject. Costs of care are unknown until a care emergency occurs. Aging shock about costs of care can be a devastating surprise to many older adults, aging children, and other family members. One hundred years ago life was simple. Children were born in the home. Older adults died in the home. Medical care did not limit births and deaths to happening only the hospital setting. Extended families lived together in the same home and cared for one another. The assumption was that family cares for family. Individuals born in 1925, ten years after these statistics were gathered, are 94 years old in 2019. It is difficult to imagine the changes that can happen during a single lifetime. The things you need to know about planning for end of life care discussions has changed dramatically. What Are End of Life Care Discussions? The things you need to know about planning for end of life care discussions varies by who you ask. Financial planners, attorneys, physicians, and individuals each have a different idea of end of life care discussions. In this article, end of life care discussions will relate to the financial aspects of the desire of an older adult to remain in the home after retirement through the end of life. We’ll talk about money and costs of care which are the main determinant of living at home as long as possible and dying at home. Avoiding these discussions are one of the top 10 caregiving mistakes. Let’s start with end of life wishes. Even though the majority of older adults want to remain in their homes and die at home, this is rarely the situation. Eighty percent of Americans would prefer to die at home, if possible. Despite this, 60% of Americans die in acute care hospitals, 20% in nursing homes, and only 20% at home. A minority of dying patients use hospice care, and even those patients are often referred to hospice only in the last 3-4 weeks of life. These statistics support the idea that planning for end of life care discussions is not a priority. Procrastination with beliefs that “it” won’t happen to me (I’m too young) or I’ll think about “it” tomorrow (it can wait) are prevalent. While older adults are more open to talking about end of life conversations, adult children may not want to talk about living without a parent. As a result, the conversation about things you need to know about planning for end of life care decisions is delayed or altogether avoided. The young fail to plan. Eighty-three percent of people over age 72 have a power of attorney document completed compared with 41% of millennials. Health in middle age is a predictor of health during retirement and later years. Individuals who are physically inactive, overweight, smoke, and have a diagnosis of one or more chronic diseases by age 50 have a higher likelihood of becoming frail and needing care at an earlier age. Individuals with high blood pressure and heart disease are more likely to be diagnosed with vascular dementia. Financial planners should inquire about the health of clients as early as possible. Discussions about life, disability, and long-term care insurance should be repeated until clients are comfortable having these discussions. One of the main concerns that I hear from individuals about purchasing a long-term care insurance policy is whether they will use the policy. We buy car insurance and hope we never have an accident that results in using the policy. Car insurance is necessary and practical. If we are a good driver a return on the premiums paid never happens. Our premiums pay for the accident risk and repairs to the cars of other drivers on the road. Long term care insurance is different. Paying a long-term care insurance premium is like building up a bank account to pay for care during the last years of life. Long-term care insurance is one protection to ensure that older adults can and will receive care when needed. The caveat is that not everyone qualifies for long-term care insurance. The other consideration is that not everyone can afford long term care insurance. Purchasing insurance when young, healthy, and premiums are low is a wise decision. Individuals with certain conditions may be issued a policy but may pay a higher premium. Others diagnosed with dementia or a neurological disease are not offered a policy. Care costs increase an average of 6% or more each year. Nursing home care that averages $300 per day in 2019 at a 6% inflation rate will cost $537 per day in 2019. For most older adults, the cost of nursing home care is beyond their financial means. Many older adults access public assistance through Medicaid. Women, who raised children and cared for a husband, —who according to statistics passes away first—are the primary residents of nursing homes. Living in a nursing home and dying alone is the reward women receive for taking care of the family when financial means do not exist to pay privately for care. Lack of funds to pay for care for wives provides a rationale to purchase long term care insurance even when the husband has no interest in a policy. In my opinion, a policy should be the family payment to women for years raising children and taking care of the family. Long term care insurance pays for care at home, in assisted living communities, and nursing homes. Long term care insurance allows care to be received in the location of the aging adult’s preference. With the statistics of 20% of individuals dying in nursing homes and 20% dying at home, there is a 40% likelihood of using a long-term care policy. Having a policy increases the likelihood of remaining at home through the end of life. Avoiding the subject of financial abuse would be a disservice in talking about end of life care discussions. Older adults become vulnerable to cognitive diseases like dementia and Alzheimer’s. Family members more often take financial advantage of the family than outside persons. Financial abuse is an important discussion for the financial planner. A recent document called a “diminished capacity letter” is drafted and signed by the financial planner and the client. This document allows the financial planners to report concerns about the ability to manage money to a power of attorney, family member or physician. Contact names and information are included in the letter. Diminished capacity letters should be updated annually. An example of the use of a diminished capacity letter is a financial planner who notices that a client asks the same question three times after the question was answered each time. A new inability to follow financial discussions may also be another concern. Difficulty managing finances is an early sign of dementia that can appear as early as ten years before actual diagnosis. We don’t talk about needing care, who will be the caregiver, or end of life care discussions because these discussions are uncomfortable. There is also the challenge of talking about the unknown. Unless one has been a caregiver, knows a caregiver, or has a healthcare professional in the family the types of care and costs of care are an unknown. Health care literacy is a significant gap. Navigating the healthcare system is a barrier for many who give up trying to access medical care. Understanding why medications are prescribed, following up with recommended tests and treatments, contacting insurance companies, and coordinating care between specialists is daunting for the average consumer. Financial planners have the opportunity as non-family members to initiate the difficult discussion about planning for end of life care from a financial perspective. Talking about insurance leads to talking about the costs of care. As we age, the reality is that we will be diagnosed with one or more chronic diseases. These health concerns will advance and continue until we die. Having someone in the family, whether a spouse, adult child or a friend to discuss end of life care with is important. This trusted person should be the individual that we appoint as the power of attorney who makes medical care decisions for us. Completing a medical power of attorney document and a living will are like talking about insurance. These documents open the door to further discussions about end of life care. In my opinion, end of life care begins with the idea of needing care and progresses until death. From the day that care is needed until death, there are many decisions to make. The first decisions about care involve where care is provided. As previously stated, older adults want to remain in the home. What happens when care is needed? Do financial means exist to pay for care at an average hourly rate of $30 in 2019? At a projection of 6% inflation, the average hourly rate for in-home care will be $54 in 2029. If you are a financial planner, you do the math. Is it realistic for your client, knowing their financial situation, to remain at home with home care? Where is the breakeven between remaining at home and moving to assisted living at an average rate of $5,000 per month in 2019 dollars? The cost for a day in a nursing home in 2019 and 2029 was previously stated. How likely is it that your client will be able to remain in the home if this is the desire? Is a move to assisted living more practical than spending money on in-home care? What happens if nursing home care is needed? These are the questions for financial planners that support the conversation about things you need to know about planning for end of life care discussions with clients. As daily care needs advance, care costs quickly escalate. Having the money to pay for care at the end of life makes the more difficult medical decisions easier to make. For individuals without the means to pay for care, choices become limited to services provided by Medicaid. For some, Medicaid has a negative association as if the individual may not receive care. Comparisons between the ability to privately pay and Medicaid, in terms that might make sense are a private label product in the grocery store compared to a brand name. A plain Cola versus Coca Cola, Folgers coffee instead of Starbucks. Vacationing at the Holiday Inn instead of a Marriott. More services and types of care are available to individuals with the ability to pay privately. Separate of the ability to remain at home supported by financial means is the medical choices that arise at the end of life. 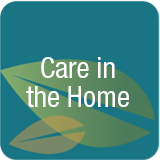 Hospice care in the home may be an option if funds exist for paid caregivers in addition to the family caregivers. Hospice care may be provided in care communities and in hospice locations and hospitals when the end of life is imminent. Medical end of life care decisions involves comfort care for terminal conditions or the desire to treat medical conditions that may not be life-threatening today but that are chronic and may repeat. These are individual choices discussed between the individual and the person acting as medical power of attorney and other family members. End of life care discussions involves different aspects of life. Financial planning for care is an important component for those who wish to have as much choice at the end of life as possible. Legal planning specific to creating estate planning documents is the component that places wishes in formal documents to avoid family disagreements. The steps to appoint individuals to serve in these legal roles should be taken seriously to avoid potential abuse. Discussions with health care professionals about health diagnosis may predict the types of care needed in the future. Working with a care advocate saves frustration, money, and time when care is needed, and it is time to review options. Care advocates also support family caregivers to manage and oversee the care of aging parents, spouses, and other family members. The transition to old age, needing care, and end of life care can require a village of individuals to provide support. Caregiving support for family members is a critical component to ensuring that loved ones receive the care they desire. Support for the caregiver increases confidence in making decisions and in relieving the emotional and physical stress that results from the role of caregiving. The hope is that discussing care needs and end of life decisions becomes more common. Becoming more comfortable talking about these subjects ensures that all aging adults can direct family members and caregivers about how and where care should be provided. (2) Where Do Americans Die? Stanford School of Medicine Palliative Care. (3) Lumpkins Walls, B. Haven’t Done a Will Yet” AARP Money Saving & Investing 2/24/17. 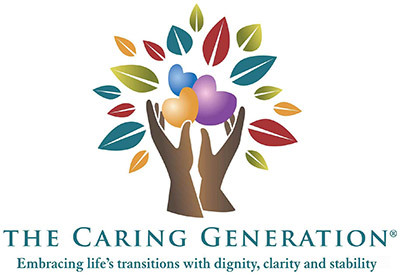 Pamela D. Wilson, MS, BS/BA, CG, CSA is a national caregiving expert, advocate, and speaker who solves caregiving problems. Since 1999, she has been a direct service provider as a court-appointed guardian, power of attorney, and care manager. In response to the need for accessible, accurate, reliable, and trustworthy information Pamela offers online caregiving support and programming to solve caregiving problems, advance healthcare literacy, and promote self-advocacy. She collaborates with professionals in the areas of estate planning, elder law, and probate, financial planning, and healthcare to raise awareness of and sensitivity to family caregiving and healthcare issues. © 2019 Pamela D. Wilson, All Rights Reserved.